Of the nearly 300,000 people who identified themselves as Navajo in the 2000 U.S. Census, 178,014 identified themselves as speakers of Navajo. While these rough numbers give an impression that the Navajo language is widely spoken, scholars continually point out that it is a threatened language and that young Navajos are not learning the language at a rate that will ensure its continued use. Poetry, however, written and performed in both Navajo and English, continues to emerge as an important voice for Navajos, providing an outlet for recounting the past through storytelling and offering the Navajo perspective on a wide range of issues including what it means to be Navajo. 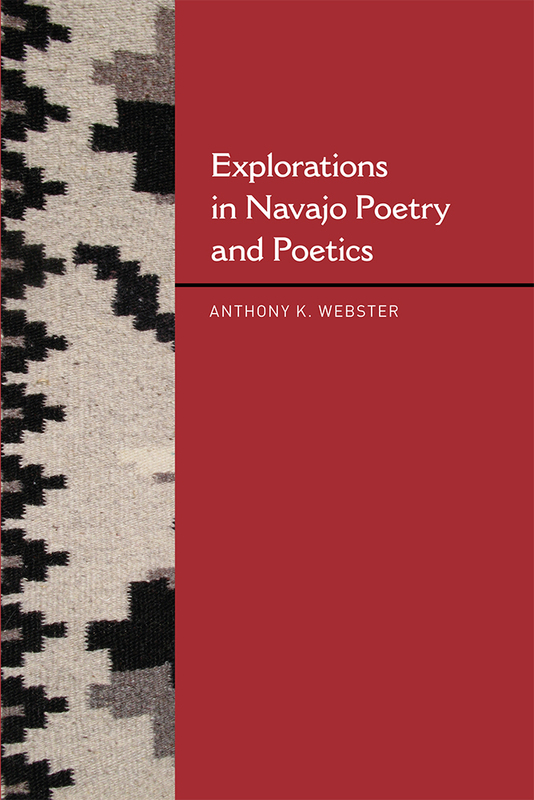 Linguistic anthropologist Anthony Webster began over a year of dissertation research on contemporary Navajo poetry on the Navajo Reservation in the spring of 2000 and returned for additional fieldwork in the summers of 2007 and 2008. In this study he investigates the devices found in Navajo written and oral poetic traditions. He then explores aspects of language such as code-mixing, punning, and ideophony (sound symbolism), often considered marginal in linguistics literature, revealing how they are central to the study of ethnopoetics and a discourse-centered approach to language and culture. Anthony K. Webster is assistant professor of anthropology at Southern Illinois University, Carbondale. He holds a PhD in linguistic anthropology from the University of Texas at Austin and his research focuses on Navajo poetry and poetics, the role of the individual in the production of language and identity, and issues concerning indigenous language shift.